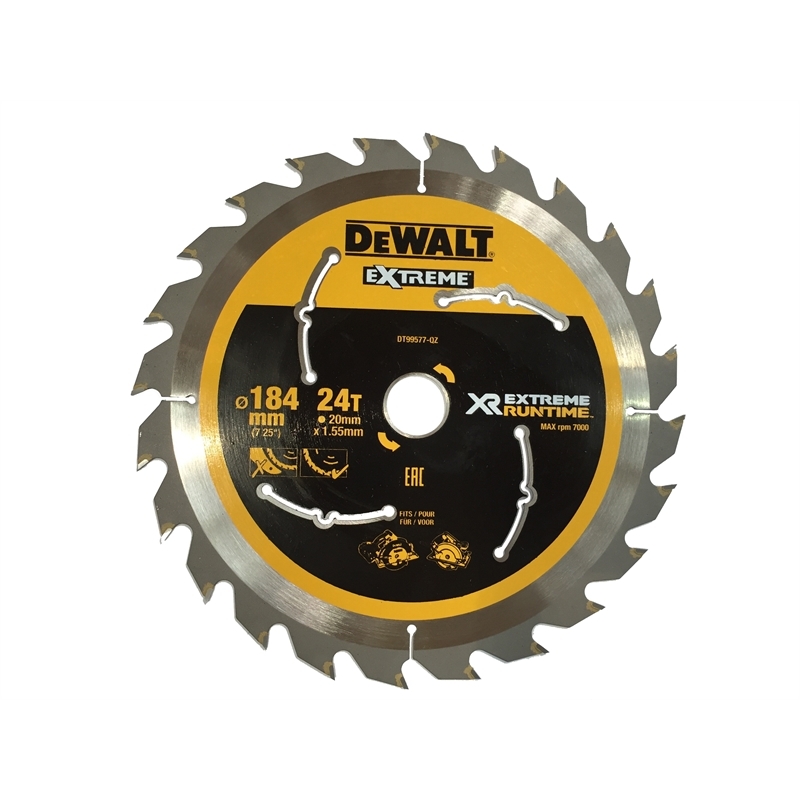 The DT99577-QZ is best suited to extremely tough cutting applications in thick timbers, the 24 teeth deliver high performance cutting coupled with efficient debris removal to the professional user. 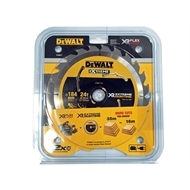 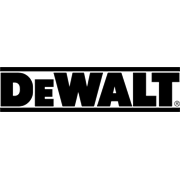 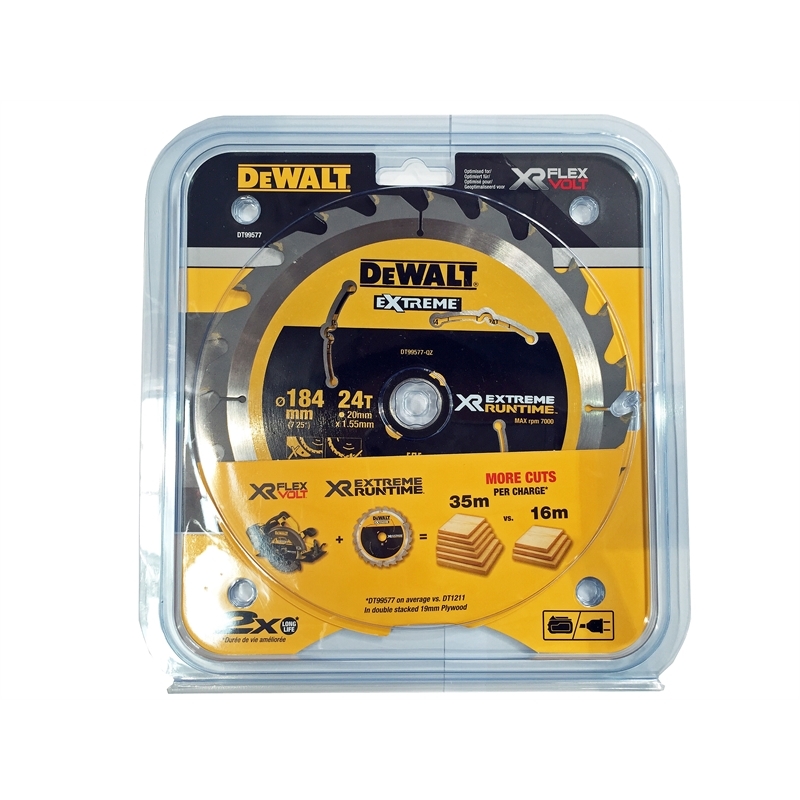 Ideal for ripping tasks where a fine finish isn't required, this saw blade has been specially engineered to meet the DeWALT Extreme Runtime benchmark with twice the working lifespan and performance. 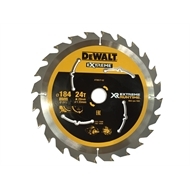 20mm bore to suit a variety of circular saws.